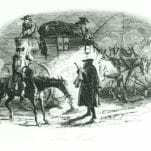 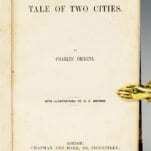 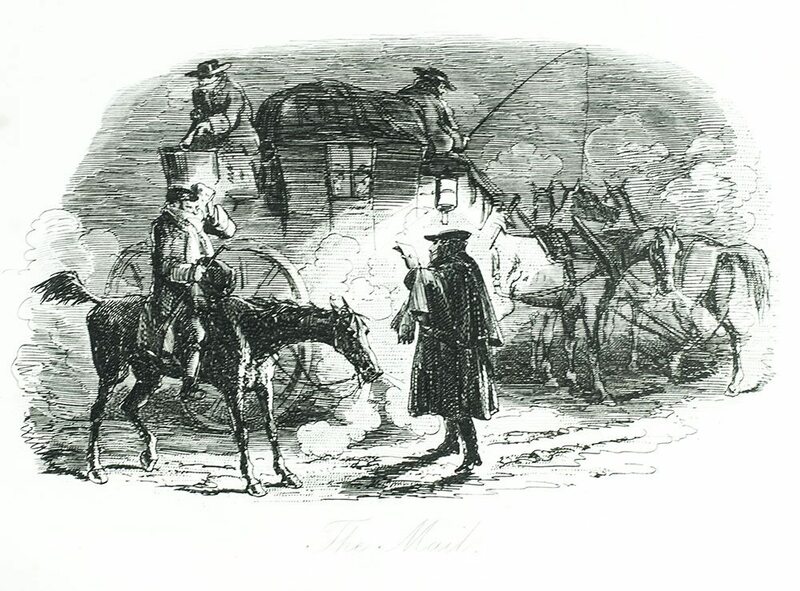 The most famous and possibly the most popular of Dickens's novels, A Tale of Two Cities shows a master of dramatic narrative extracting gold from the ore of history. 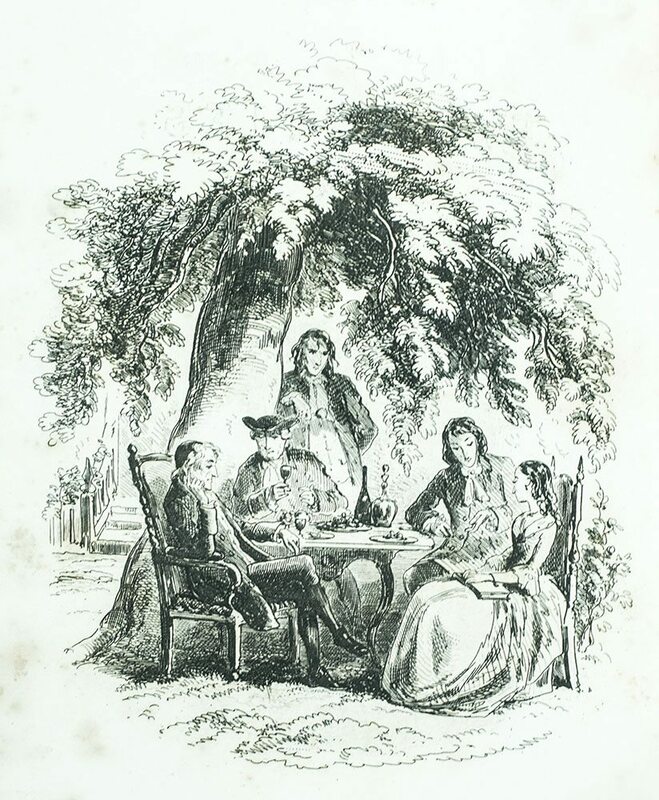 If the bloody tableau of the French Revolution were not in itself sufficient for a dozen novels, Dickens added to it a professional resurrectionist, an authentic ogress, and an antihero as convincingly flawed as any in modern literature. 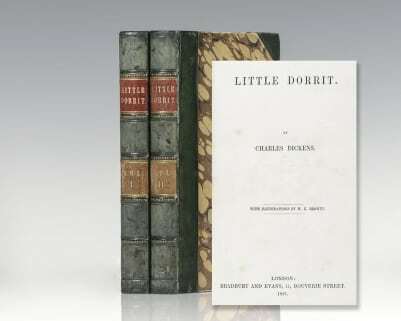 “Dickens had always admired Carlyle’s History of the French Revolution, and asked him to recommend suitable books from which he could research the period; in reply Carlyle sent him a ‘cartload’ of volumes… So great was [Dickens’] enthusiasm for the story that it had indeed ‘taken in possession’ of him… The force of the novel springs from its exploration of darkness and death but its beauty derives from Dickens’ real sense of transcendence, from his ability to see the sweep of destiny” (Ackroyd, 858). 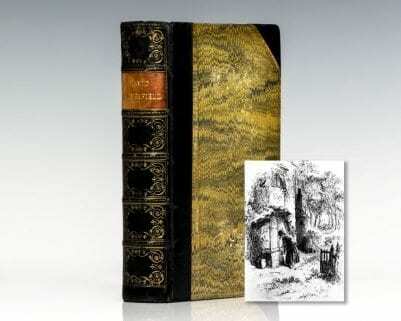 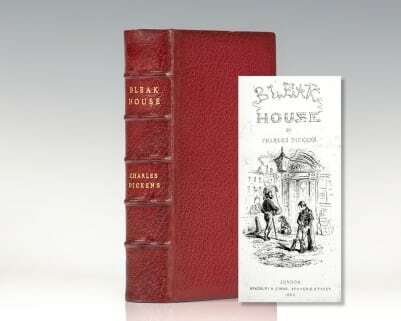 The last of Dickens’ books to be illustrated by H.K. 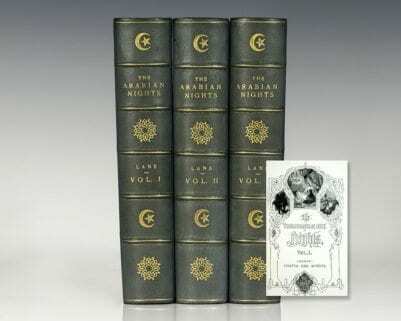 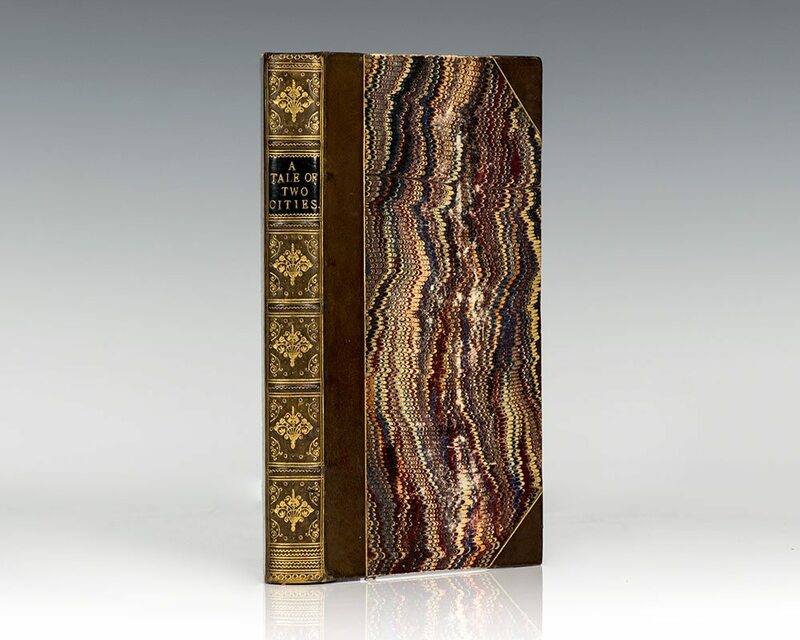 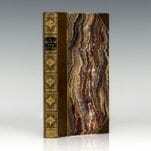 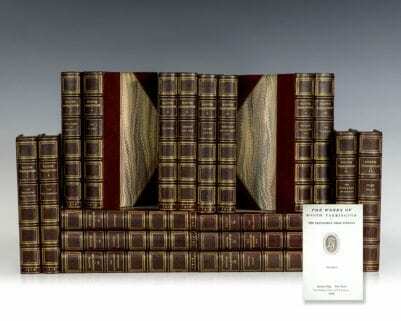 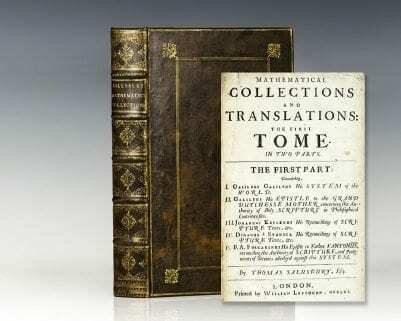 Browne (“Phiz”), with 16 engraved plates by him. 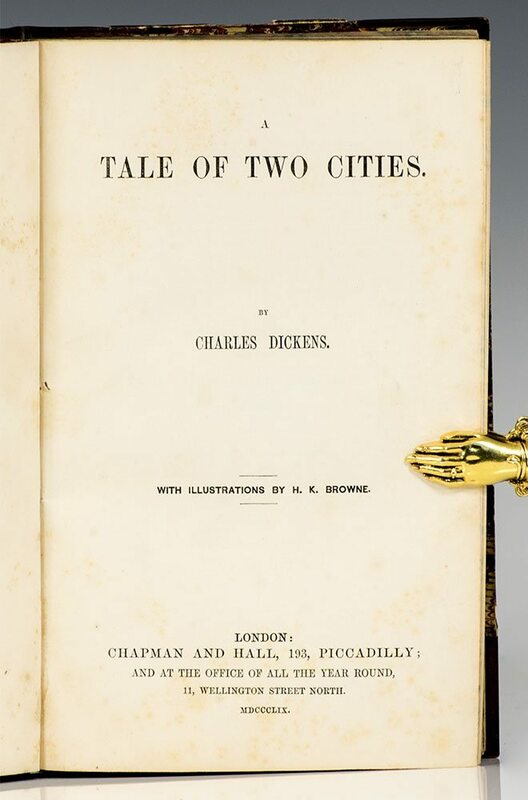 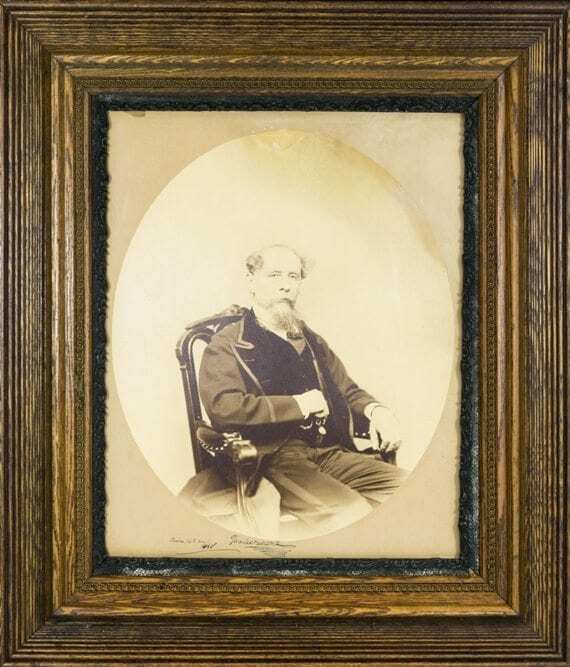 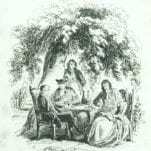 “Browne, for 23 years responsible for all the etchings which had so successfully embellished these [Dickens’] books, produced his last drawings for the present work… Bradbury and Evans, the printers of all and publishers of five of Dickens’ works as issued in monthly parts, had ceased to act in this dual capacity after completion of Little Dorrit… [resulting] in the return of Chapman and Hall as publishers of this and all succeeding works” (Hatton & Cleaver, 333).